At least since Ancient Greece have men realized that a perception a person’s character and motivation is key to his ability to persuade. The wily Greeks believed that there were three keys to persuasion – ethos (character), pathos (passion) and logos (logic), only the last of which is strictly about who is actually, factually right. So it is no surprise that our politics is dominated by arguments over intentions rather than results. Laws are enacted based on what they are meant to achieve – but never are they enacted with measurable goals, and after the fact, rarely does anyone bother to check if the intentions match the outcomes. It is now early February, which means that we are well into the season of broken New Year’s resolutions. So it should be obvious to everyone that a person’s motivations are not a good predictor of their behavior: What is more likely to be the reason that someone broke their diet last night? Because they didn’t want it enough? Or because the dinner host plunked a big slice of chocolate cake in front of them, and it just sat there staring at them? And was this jovial person at the dinner table, with the randy jokes, the same “kind” of person they were that morning at work? Or at Saturdays lunch with the in-laws? Or the romantic dinner the night before? Does it even make sense to talk about what “kind” of person someone is without context? But we persist with our labels because they simplify life. We even do it to ourselves, we lose our phone and berate ourselves for being stupid for the rest of the afternoon, as if we had just discovered the true essence of ourselves. In our lazy, simplifying minds we ARE the phone loser, that is the “kind” of person we are – until something else distracts us and we are on to thinking about other things. 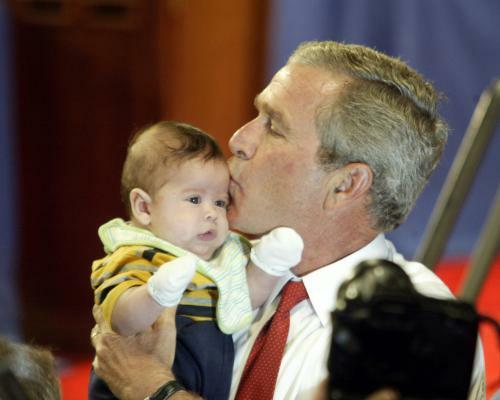 So does it really matter what “kind” of people we elect to congress, or what the motivations of the President are? Did the President not close Guantanamo Bay because “he didn’t want it enough”? Are our Congressmen unable to agree on a budget because their moral fiber is somehow suddenly inferior to the noble ethics of all previous sitting houses? Perhaps we need a system that is able to function even if the voting public is unable to pick the saints out from the sinners. A system where a person’s character, motivation or even intelligence is not a deciding factor. Do we have an example of such a system? Yes. Yes we do. Science doesn’t care how much a scientist cares or about their background, wealth or personality. It doesn’t even care about their relative intelligence! We don’t decide which scientific theory is correct by giving scientists an IQ test and then choosing the theories of whoever got the highest score. 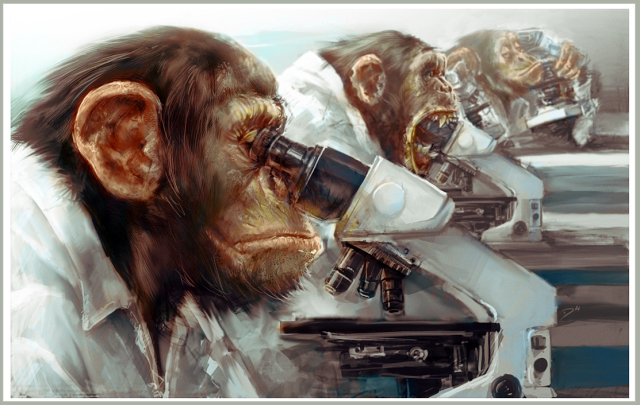 Science would even work, albeit more slowly, if theories were scribbled out by monkeys and then picked out of a hat. What science does care about are results. Theories are tested by experiments. Whichever theory is better at predicting the results is king, until a new experiment comes along or it is replaced by a theory that conforms even more tightly to the results. Yes, this is often a messy process, with petty politics sometimes descending into full-scale nerd fights. But because the results speak loudest, the politics is kept in the background, not center-stage. In science, mankind has discovered a methodology to consistently generate progress, instead of just change. Theories get better, they don’t just switch around. Likewise, in our politics, we need more progress we can rely on and less change we can believe in. If we want to be able to consistently improve our societies, instead of having them lurch from good times to bad, from free to totalitarian, from growing to stagnant, we need to stop basing our choice of government on gossip and start basing it on facts. We need to experiment. We need some experiments to fail and some to succeed. And we need to build on those successes with more experiments. And what is success? Success is whatever kind of society people want to live in – because that is what governments are for – creating the types societies that people want to live in. Today we have practically all the governments of the world conforming to just two main methods of government, representative democracy and totalitarian rule. And they all conform to one single model of what a society should look like – a nation state, centrally ruled. Most people can’t even imagine alternatives. But before science, pretty much every society looked the same as well – agrarian and superstitious – and nobody could imagine an alternative to that either. We can do better. We need a thousand different countries, all experimenting with some theory of good society and we need anyone who wants to leave them and try a different one to have that opportunity. We need to give people the same freedom that we have given our cell-phones, and pop songs and other merchandise, the freedom to go anywhere in the world. We need a thousand different societies competing with each other for the right to please people. And may the best society win… until a better one comes along. You see this in Europe during the Renaissance and through the Enlightenment. Europe was comprised of several states in close proximity with varying laws and cultural norms. This diversity of socio and economic borders within a relatively small area allowed for the free flow of information, ideas and thus people and governments. With new points of view constantly vying for attention, these ideas behaved like allele frequencies in a biological system in which natural selection evolves an organism more naturally suited to it’s changing environment. An emergent property of both living organisms and free cultures. Don’t feel bad; I am sure your intentions were good. P.S. Sorry to be that guy….